Your Spokane MoldMasters provide affordable, expert professional structural mold & moisture inspections, surface and air test sampling, project reports and service protocol design documentation, along with superior quality remediation services and to protect our client from a conflict of interest, MoldMasters sends all samples directly to A.I.H.A accredited EMLabs for certified, objective analysis results. A.I.H.A. certified results test sampling by MoldMasters, provides a wealth of valuable information. Results can suggest if health or structural concerns may be influenced by the presents of mold and moisture. 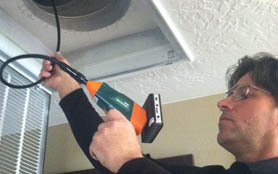 MoldMasters provides comprehensive, affordable mold and moisture inspections simultaneously. Mold does not colonize or thrive without moisture. Therefore, it is imperative to determine the source of a water intrusion. MoldMasters provides immediate response to real estate transactions or property management tenant issue's. 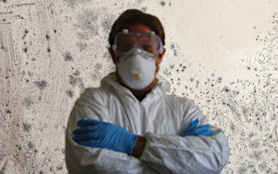 We identify the concerns, minimize the worries, and offer affordable documented remediation services.